For most of us, a cell phone is so important that we cannot imagine life without it. However, as much as we are attached to our phones, there is a place where they cause a lot of irritation. In meetings. For example, why is it that during a Chama meeting, people insist on taking every call? Even worse, just let the phone ring? They forget all about the people in the meeting as if they were invisible. This makes the other people in the meeting feel unimportant and disrespected. So, what do you do with your cell phone when attending the Chama meeting? Should you switch it off? This may not be a good idea as you may miss important calls from home, your boss or even your clients. So what is the best way? Well, here are some ideas to help you handle your cell phone in meetings without losing any important calls or messages. The two possible locations to keep your phone are: your handbag or pocket. Many people choose to keep cell phones in their handbags because of pocket-less outfits. If this is the case for you, be sure to choose a vibrating or single beep ring that is audible, yet minimal so it doesn’t ring seven times while you search through your handbag. Pockets are the most efficient places to keep your phone because you are able to answer the ringer right away. Also you can silence the ringer right away. Remember, the last thing your fellow Chama members want to hear during the meeting is an annoying ringtone piercing their ears. The moment you sit down for the Chama meeting, do not reach into your handbag, grab your cell phone, and put it right down on the table in front of you. Ouch. People in the meeting will wonder if you have an emergency call coming in thus you are waiting for the call. It also portrays that the meeting is not so important to you and you are free to take calls as the session proceeds. If you see that an incoming call is a business or personal emergency, answer it. This is what cell phones are for. But other than an emergency message or a call that directly affects all people in the meeting at hand, there’s nobody calling you that can’t wait an hour for you to call them back. If you sit through an entire Chama meeting wearing an earpiece, headset or any other hands-free gadget, you should be ashamed of yourself. Nonverbal communication speaks before you do. It speaks of disrespect for the Chama members and the meeting at hand. People will see that your incoming phone calls are more important than the discussion at the meeting. This behavior is plain rude. Especially if your cell phone ring is loud, always silence the ringer after three rings. 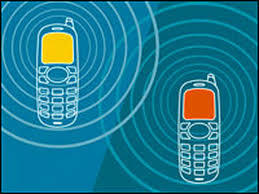 Remember your ringing phone is annoying someone else in the room, namely, the person sitting two feet across the table. Most cell phones have buttons on the outside that double as ring silencers. Use them. Consult your manual and learn how to quickly silence your phone while it is still in your pocket. The best time to check missed calls that you politely silenced is when you are away from the meeting table. This will give you enough time to see what you missed, and if need be – return an emergency call. And if you must return the call immediately, don’t do it at the table. Politely say, “Please excuse me for a minute, but I have to take this call.” Some people pretend to use the washroom for the sole purpose of making a phone call. This is an effective technique, but be careful. If you’ve taken lots of fluids, ten minutes later you may need to go and you will only disrupt the meeting causing discomfort to other Chama members.